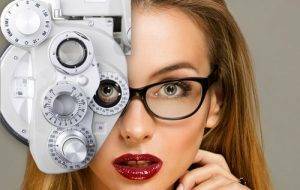 Our Wilmington Eye Doctors Offer Eye Exams & More! Carolina Vision Associates, O.D., P.A. provides comprehensive eye exams for adults and children, co-management of laser vision correction surgery, caring for eye emergencies and so much more. Dr. Jackson and Dr. Cooper provides comprehensive eye care to patients of all ages including treatment for a range of conditions including eye emergencies and treatment of dry eye, glaucoma, diabetic retinopathy, cataracts, and macular degeneration. Our optometrists treats patients from Wilmington, Kings Grant, Mayfaire, Ogden, Murrayville, and other nearby communities. If you live nearby and are looking for family eye care services at a top vision center, check out our services below, then book an appointment online or call our office located in adjacent to Eyemart Express in Wilmington, NC.